More often than not, when people visit Tuscany for the first time, (or the second, third, or fourteenth), they say something along the lines of: “I could live here.” Senza dubbio, it is an intoxicating land filled with culture, art, incomparable aesthetics, painterly villages, gastronomy, music, and warm people inherently proud of their heritage. 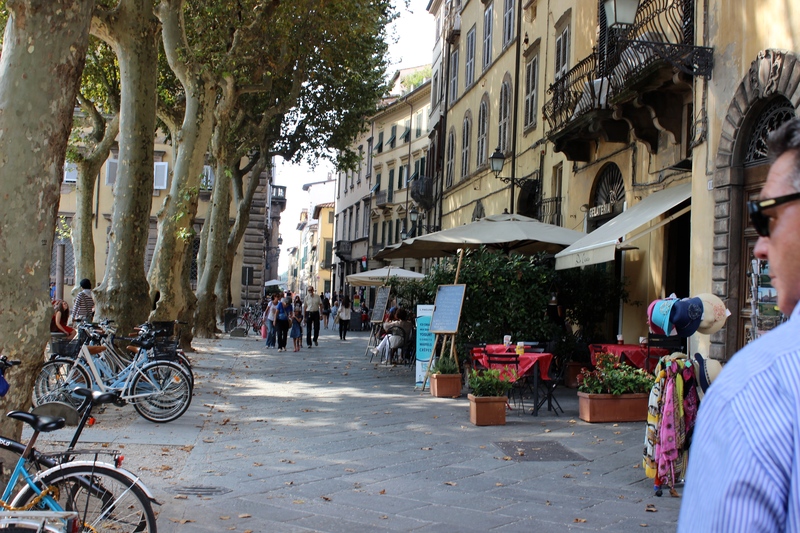 When I emerged from the cavernous underpass that connects the external world to the tranquil world of Lucca, I too tipped my head to the side, pondering a simpler life in this Tuscan dream-town. 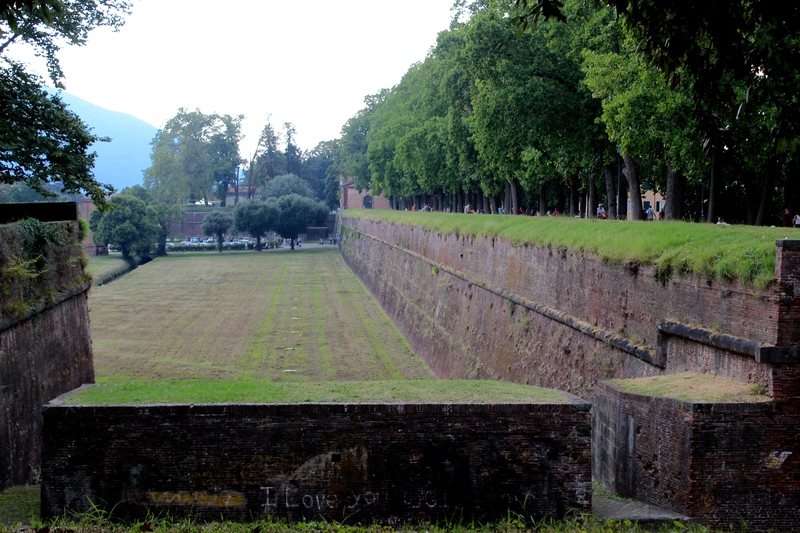 Fortified by walls layered with centuries of history, Lucca is a flat Tuscan ‘city’ which has retained a sense of peace in thoroughly discovered, day-tripped Tuscany. 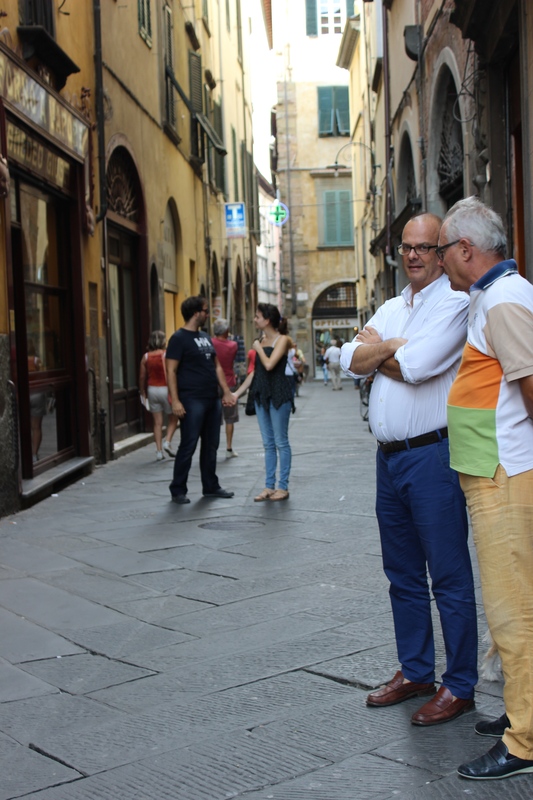 Perhaps the deterrent has been the off-track location in an otherwise vertical region; it makes sense to group Lucca with the Maremma and the Tuscan coastline rather than with the hill towns of southern Tuscany. 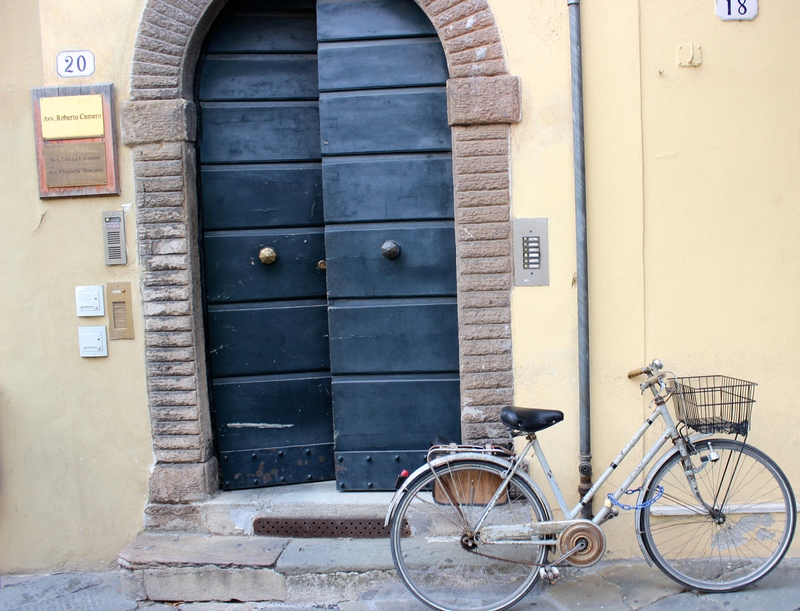 Once inside the walls, the town feels light-years more modern than many of its Tuscan counterparts. 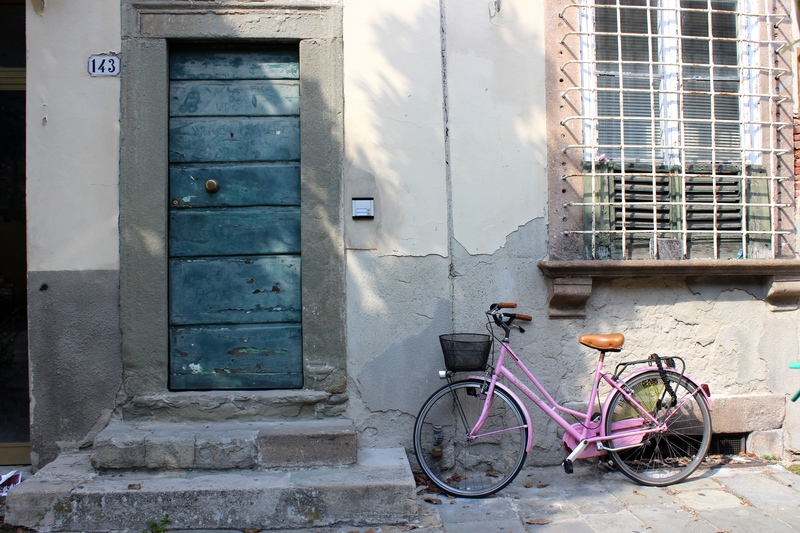 It is gloriously tranquil, its outer road surrounded by beautiful homes in the warm Tuscan palette we have come to know and love, pastel bikes trustfully resting against front doors, and one of the city’s most treasured characteristics: the wide road circling the flat city, as perfect as can be for una passeggiata. 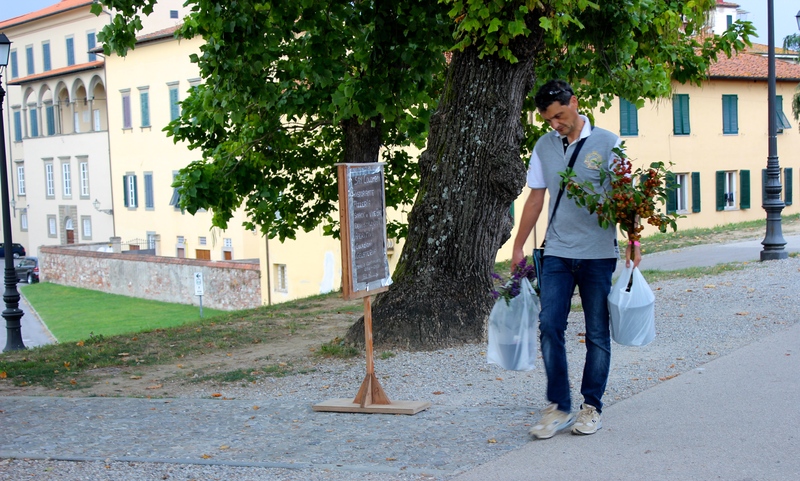 The road sits one level above the city, and the Lucchesei take full advantage of its cheerful hum and innocent activity: families riding bikes, nonnas gossiping in groups of five or six, a young girl reading a book, a gentleman on his way back from the Saturday flower market, laden with long stalks of Tuscan fiori. There is a sense of ease, as if anything complicated and stressful is left outside of the walls, and once you step inside, the air is clearer, lighter. 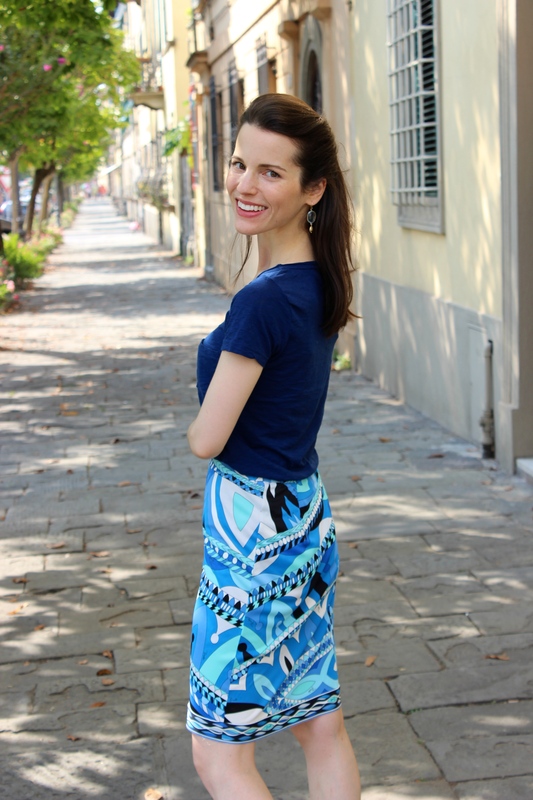 Life is simple and beautiful, and the Lucchesi hold tight to this sentiment, like a warm Tuscan embrace. 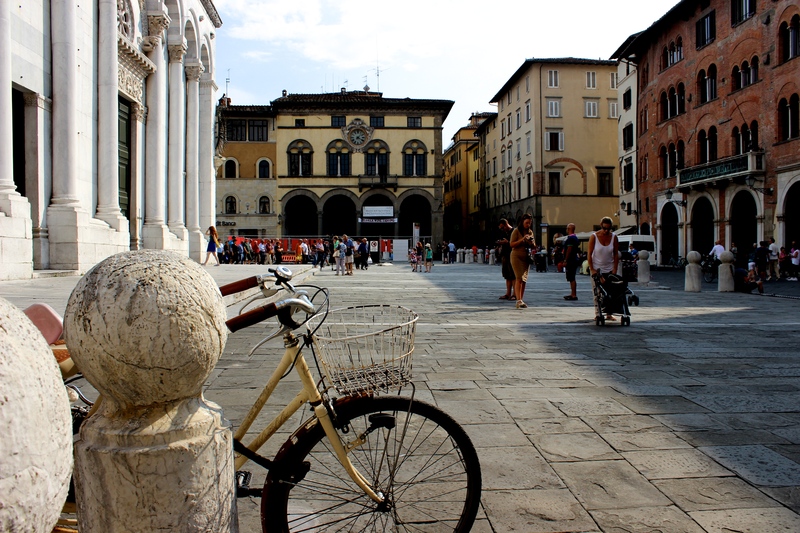 We walk inwards towards one of the main squares and notice very few cars on the roads. 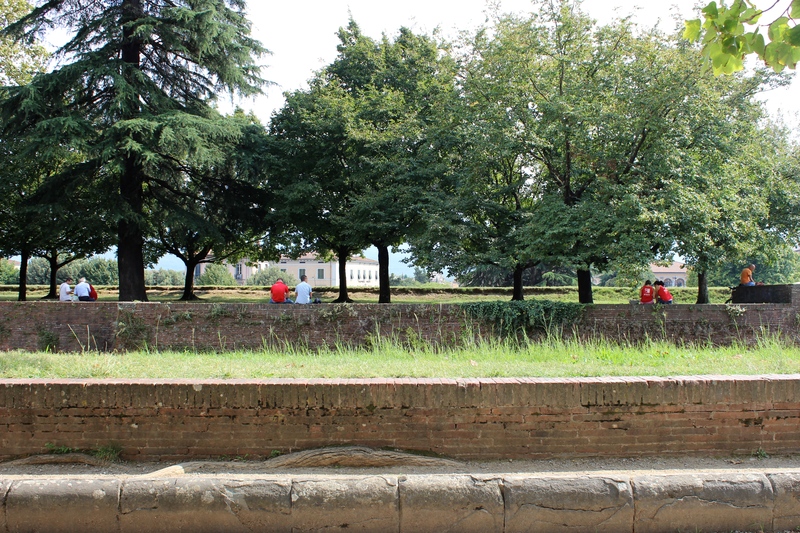 Built in the sixteenth and seventeenth centuries, the walls were meant to protect the city from invaders, and they continue to serve a similar purpose in the way of thwarting traffic. 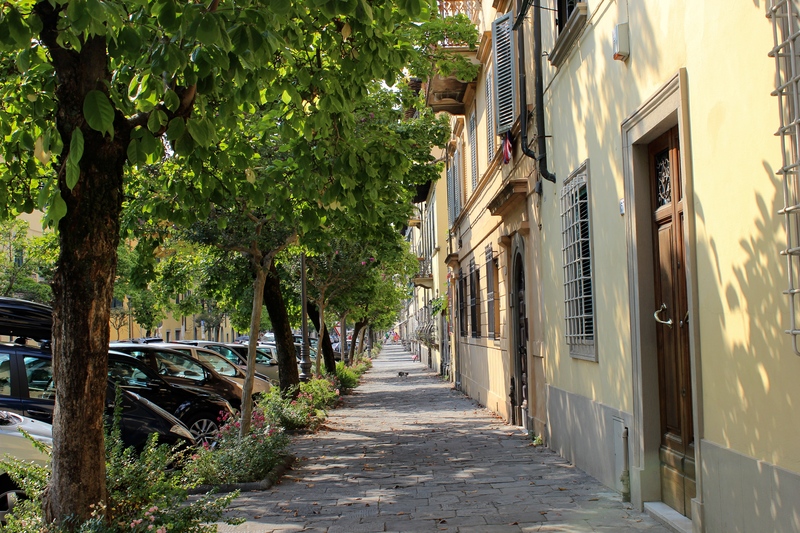 Many of the roads are labeled ‘pedonale,’ or pedestrian-only. 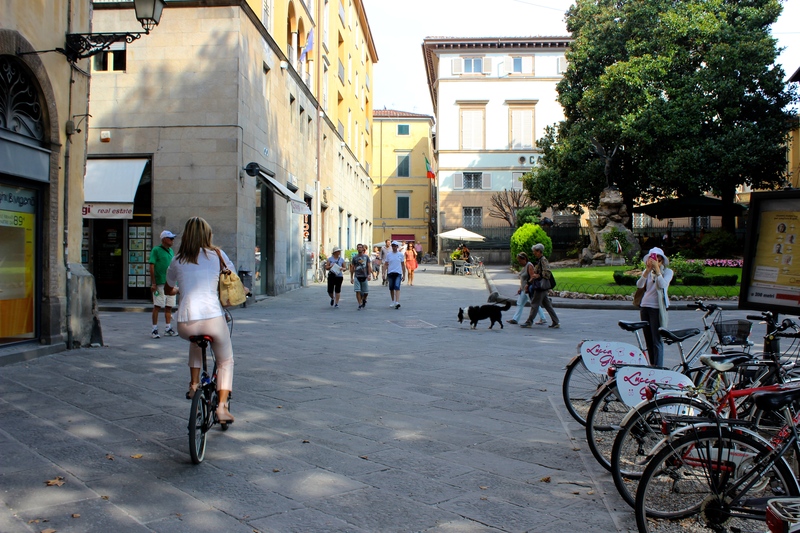 Bicycles are the main mode of transportation, and in fact there are fewer scooters in Lucca. 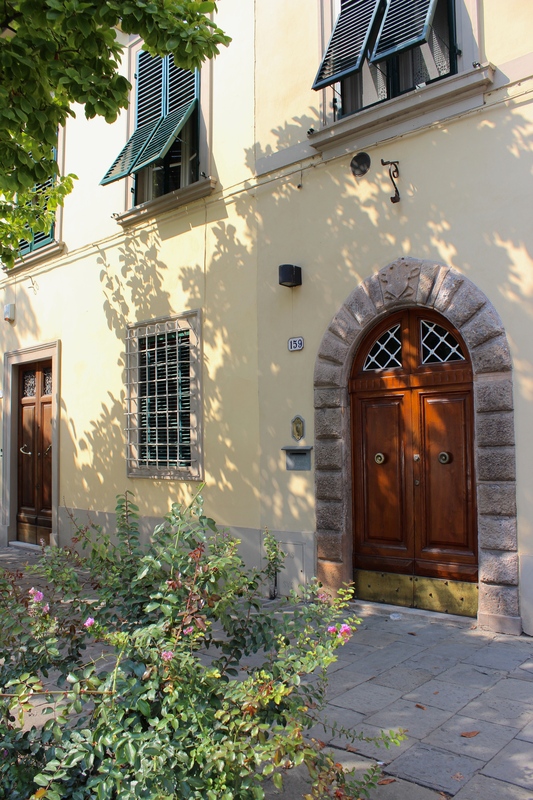 I turn my head in either direction to take in the narrow, medieval alleyways, wicker baskets hanging from windows, vines stretching across ancient buildings, dogs on leashes and bambini in ruffles running to and fro, Italian giggles and doting parents allowing a longer leash of freedom in this insulated haven. We duck into a chicissimi hat store and I buy a forties-esque wool hat handmade in the region. 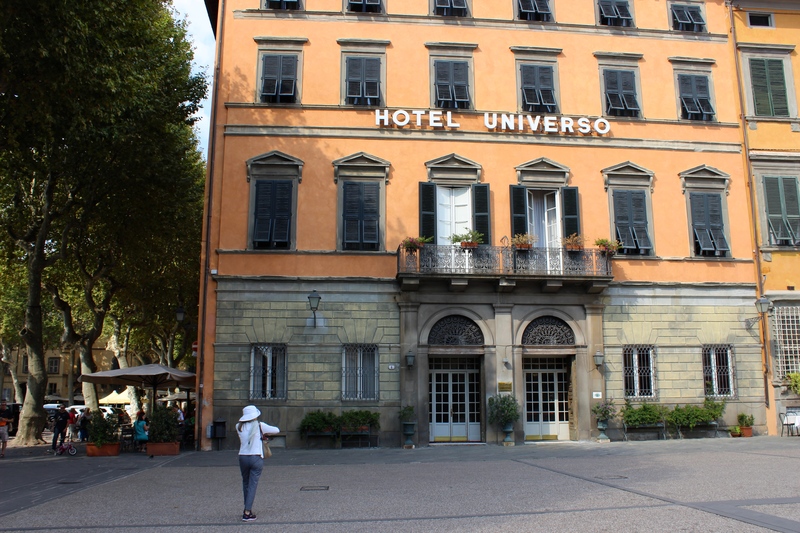 There are plenty of clothing and shoe stores to choose from, even an Officina Profumo Farmaceutica di Santa Maria Novella outpost, as well as the token casual cafes with small sidewalk tables. 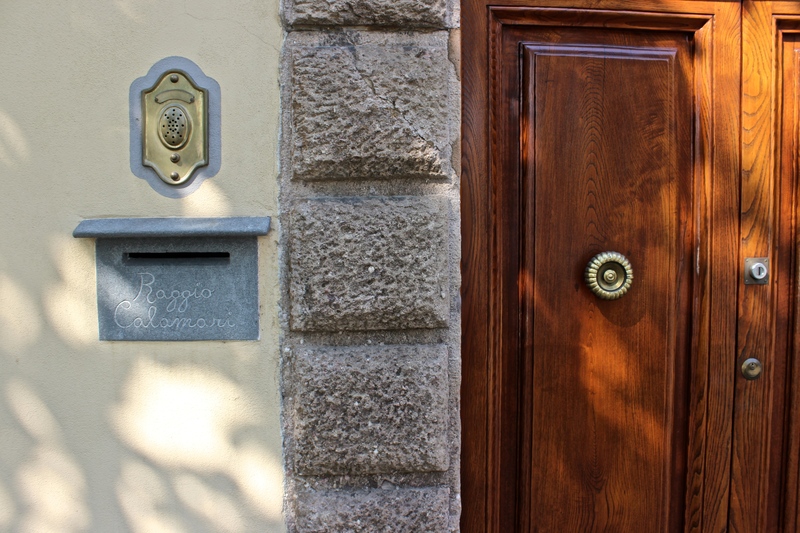 It is lunchtime, and our tummies begin to growl as we walk along the cobblestones on Via Santa Lucia. I spot passersby holding paper bags of focaccia and gentlemen conversing outside storefronts, their hand dipping in and out of a bag, extracting biscotti or taking a chunk off of a thick sandwich. 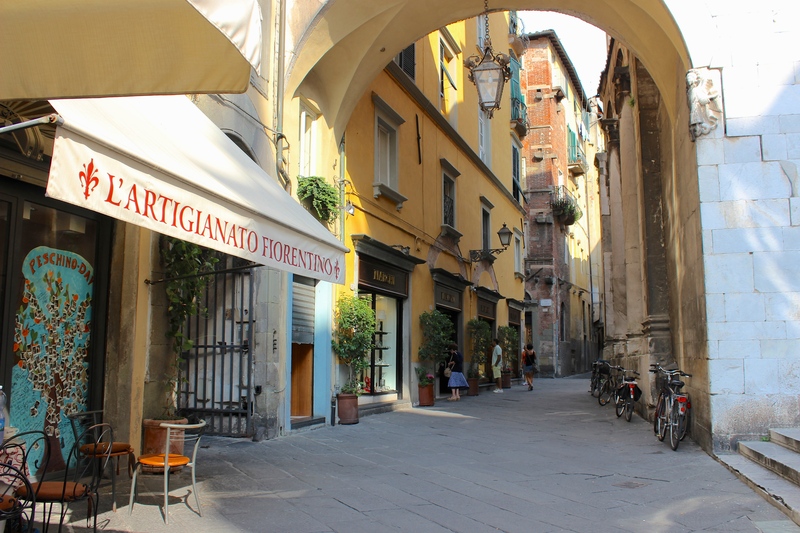 The sweet and savory scent of a forno wafts below my nose, and low and behold, we come upon Panificio A Giusti, clearly a neighborhood favorite. Lucchesi are streaming out, and the glass case is already half-bare. We buy half a loaf of warm, dark pane baked with walnuts, fruit, and other secret goodies. It is sweet but not too sweet, chewy and hearty but not too dense. We eat small chunks for our lunch, and we save the rest for the days to come as a mid-day snack secreted away in the confines of my purse. 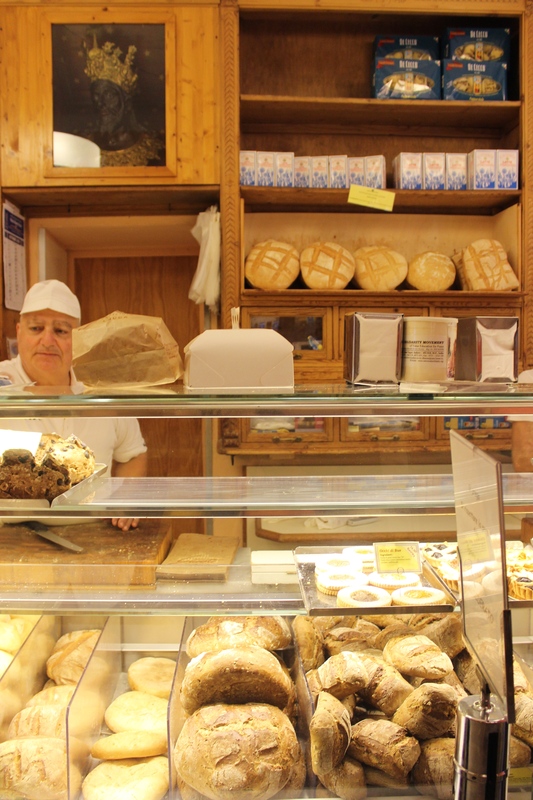 It is some of the best bread I have had in Italy, or anywhere for that matter. As our passengiando (wandering) continues, we noticed the ominous storm cloud moving in over the city. 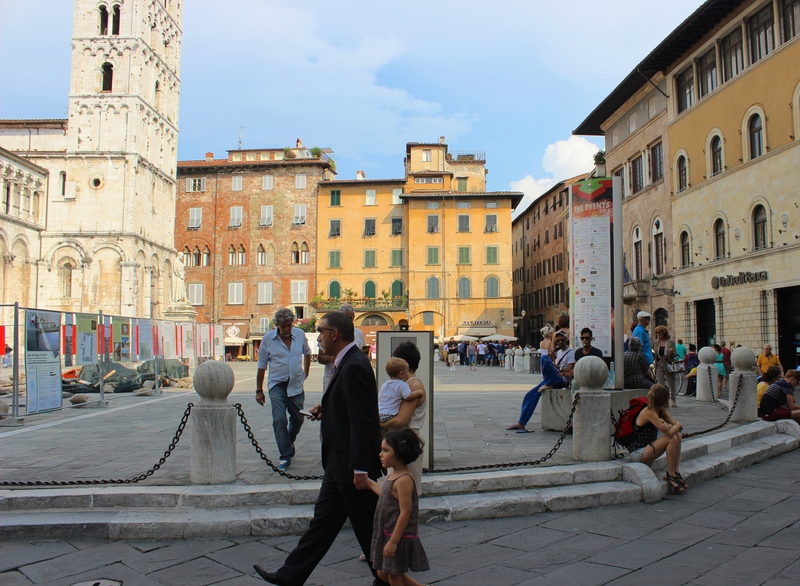 The Lucchesi do not seem phased; they are setting up for an evening fair in Piazza Napoleone by putting out folding tables near the merry-go-round, which is still in full swing with eager bambini just climbing aboard. We make our way back towards the golden circle, the wide dirt road that circles the city. Bicyclists have grown in number, out for a leisurely ride before dinnertime, and many people are just returning from some sort of flower market. Nevermind the thick droplets of rain making themselves known on our sun hats, we feel as though we just took a ‘Lucca pill;’ we are calm and content as can be. 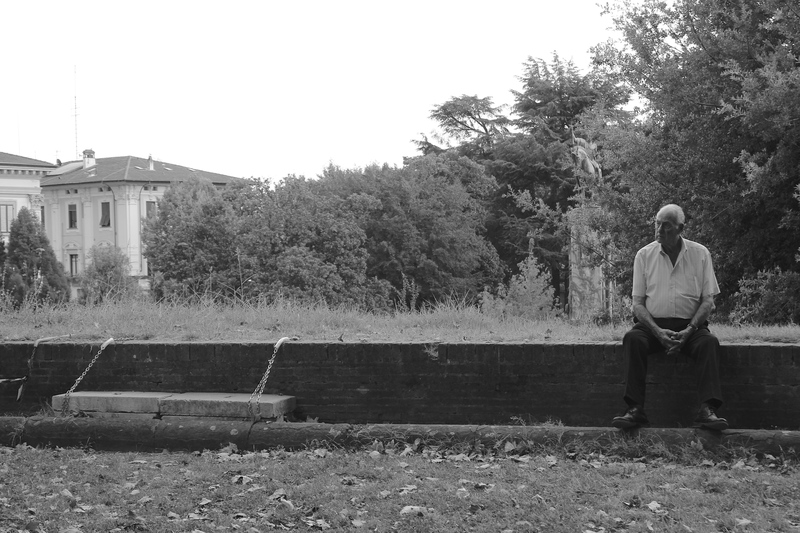 We wish we could linger with the old man sitting on the stone wall at the edge of the city; we would like to be the teenage boys recounting hilarious stories, five of them stretched across the road; we would love not to have to exit through the underground tunnel back towards the outside world, although we know that though it is time to say arriverdeci to Lucca, we are not yet leaving Tuscany, and so we need not wake from our sogno quite yet. San Michele in Foro: a spectacular Romanesque church in the city-center with one of the most breathtaking facades in the region. The 13th century facade has been constantly added to, including the Madonna affixed to the corner by Luccan sculptor Matteo Civitali. Each column within the four stories of arcades is unique: some are knotted, some twisted, others are inlaid with mosaics, and some boast carvings of figures and animals. Duomo di San Martino: Originally begun in 1063, the Duomo has fanciful details and intricate carvings on its beautifully preserved facade. 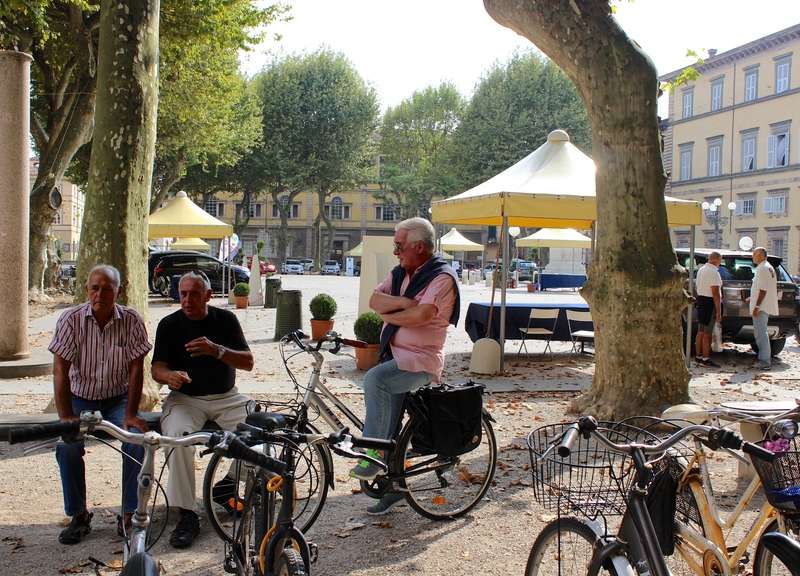 Lucca is an easy local-train ride from Florence Santa Maria Novella Station. Allow yourself a full day in order to fully enjoy the day at a leisurely pace. 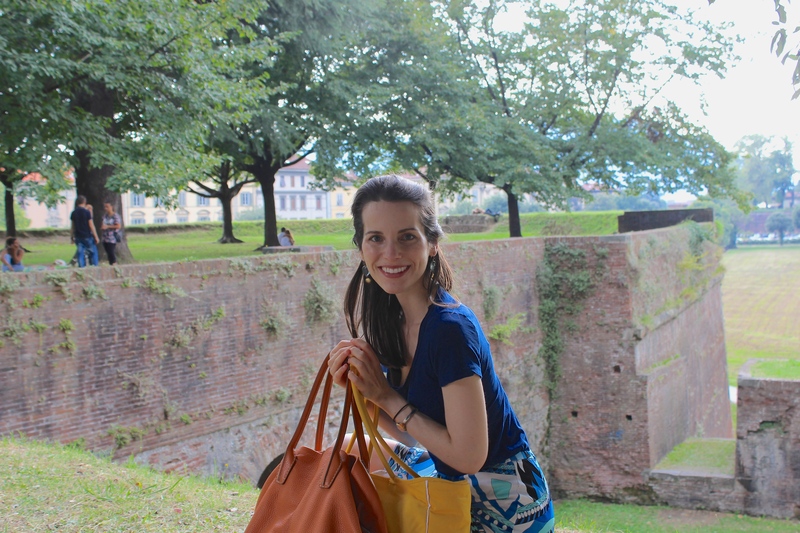 Outside San Michele in Foro, one of the most spectacular examples of Pisan Romanesque architecture. 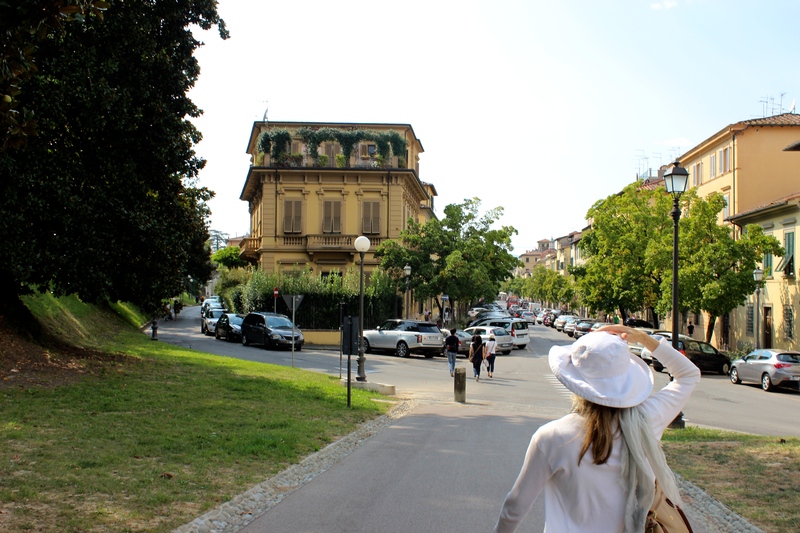 Just inside the walls, the wide, surrounding road is lined with handsome homes, cafes, and offices. The wall is a restful spot. 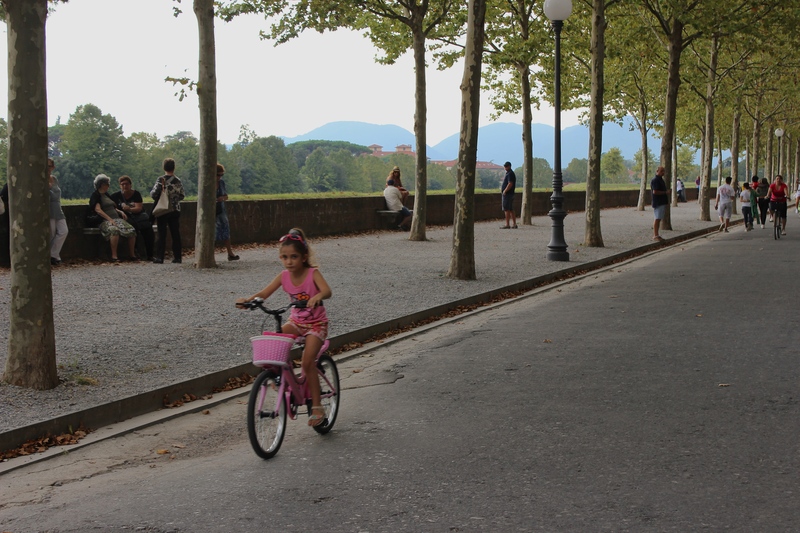 Walking along the handsome road just inside Lucca’s walls. Resting along the edge of the city. 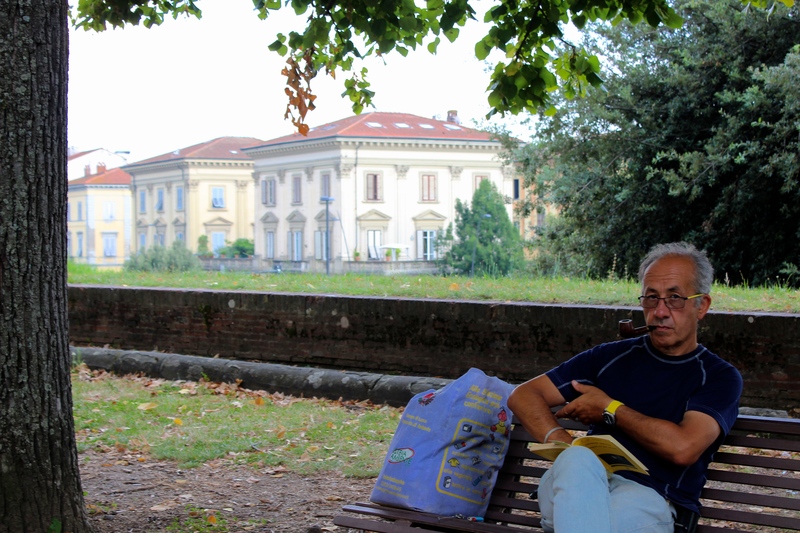 A good spot for reading at the edge of the city. On the way back from the flower market. The view on the other side of the wall. 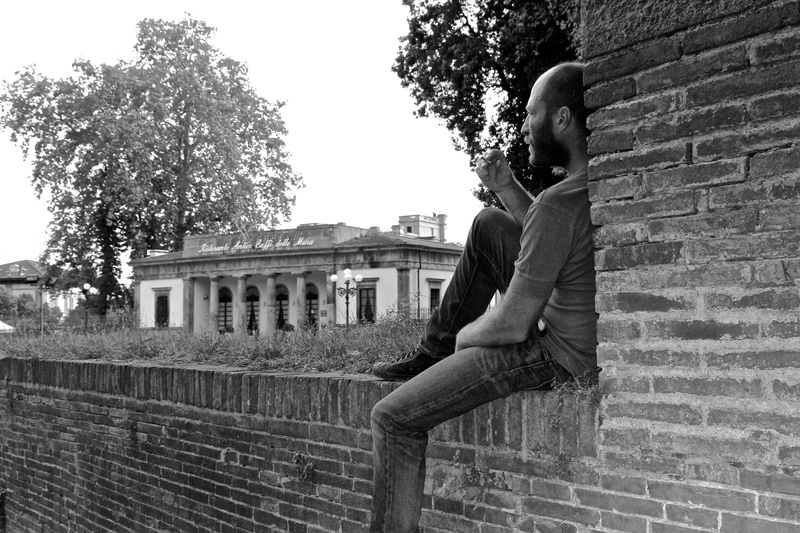 Ciao Lucca, noi ti amiamo.